The Accidental Immigrant: Welcome to Canada! 26 January 2001. The day of the big earthquake in Bhuj, in the Indian state of Gujarat which killed at least 10,000 people. 26 January is when India celebrates its Republic Day to commemorate the day in 1950 on which its Constitution officially came into force. And on that day, at approximately 11:30 am, Flight CX 838 of Cathay Pacific Airways crossed the coastline of Vancouver from the west, flew high over the glittering snows of the Coast Range in a wide sweeping circle as the air traffic controllers at YVR airport slotted it into its landing sequence. The symmetrical 10,781 ft. snowy bulk of Mount Baker and behind it the even higher mass of Mount Rainier at 14,409 ft. swept past the windows on the right hand side as the aircraft banked to the left and turned 360 degrees to line up for Runway 26 north. 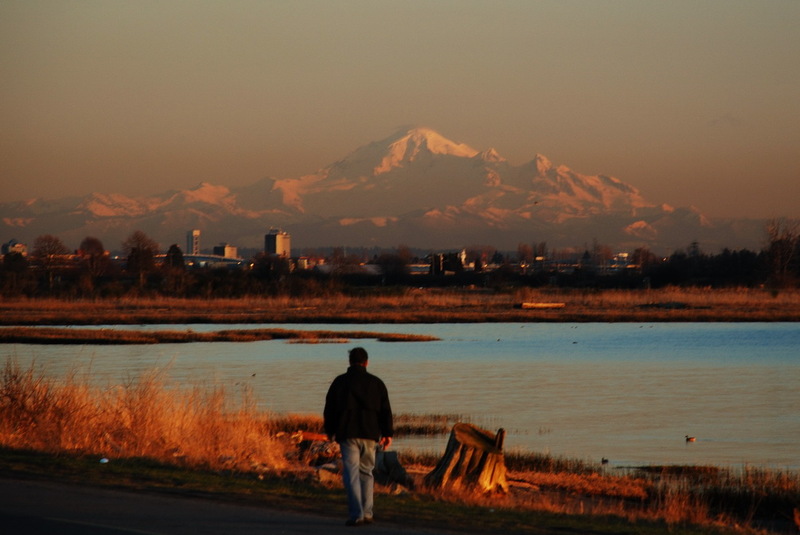 Mount Baker catches the light from the setting sun. Seen from Iona, on the north side of YVR international airport. My wife Margaret, son Sanal Jeremy, and I had had a comfortable journey from Mumbai via Bangkok and Hong Kong. I grabbed an empty window seat and looked north over the mountain wilderness of British Columbia : the very sight of high mountains sets my heart racing and even though I did not know the names of all those summits that stretched away under a cold and clear blue winter sky, I felt I was coming to the right place. It was as if destiny had somehow led me to this city squished (a word I learnt to use here in Canada) between the ocean and the sky, this jagged province with thousands of square kilometres of wilderness and mountains and glaciers and dark green forests. 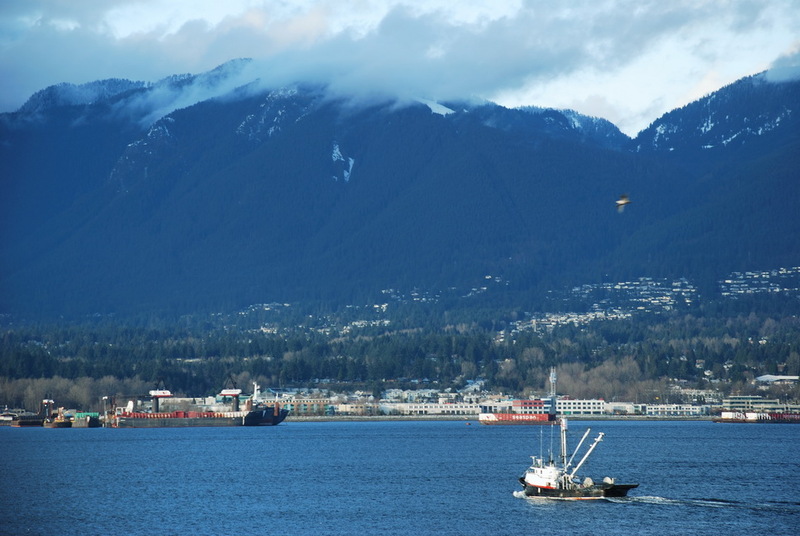 North Vancouver is dwarfed by Grouse mountain towering above it. The North Shore hills of Seymour and Grouse sped by in a blur as the big plane touched down with a gentle thud and the roar of the reverse thrust and the braking flaps drowned out any doubts I might have had. We walked through the clean and tidy terminal building, past the totem pole of the First Nations, and down the stairs to the arrival hall. I took out our passports and Landed Immigrant visas and presented it to the officer at the Immigration desk. He was very polite and directed us to a room for newly landed immigrants. I looked around and saw a mix of races, though the majority seemed Oriental! 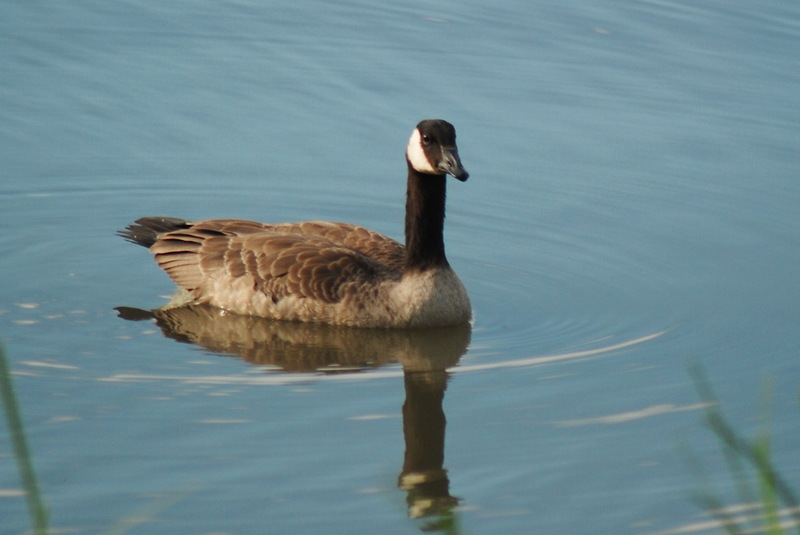 The group sat in a hushed silence, each person immersed in his or her own ruminations. I thought : all these people in this room have taken a major decision in their lives and are about to embark on perhaps their greatest adventure....I wonder if they know that? I wonder how their stories will unfold in the coming months and years? Mount Seymour seems to almost touch the wingtip. 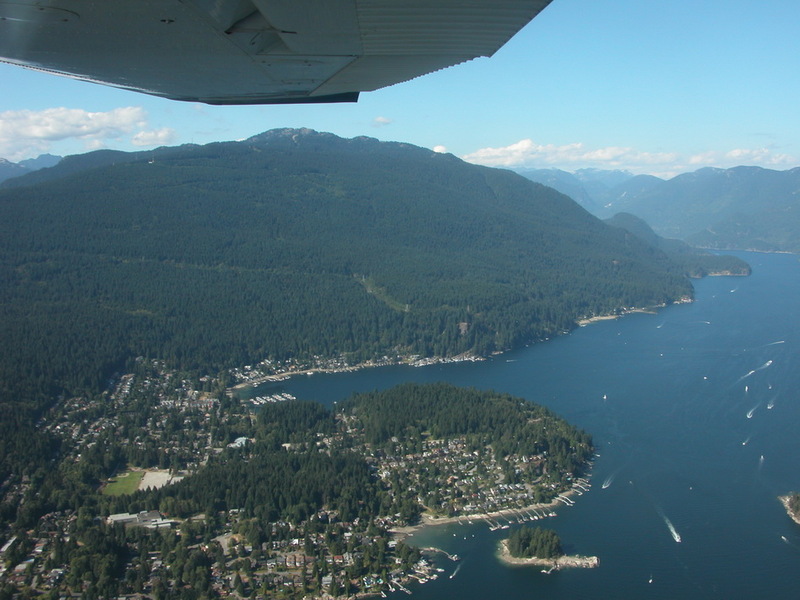 Deep Cove nestles in the gap and boats sail up and down the Indian Arm inlet. My reflections were suddenly interrupted by a young female immigration officer in a smart uniform who gave the group a friendly glance and said, "Welcome to Canada!" I almost fainted with shock : I had been a flight attendant for over 23 years and had travelled to a lot of countries around the world, both in uniform and out of it; and never in all those 23 years do I ever recall being "welcomed" to any nation by an immigration official! My immediate reaction was - Is she Serious? Or is she just doing her job? Anyway, for the time being I gave her the benefit of the doubt. Later I was to realize that Canadians were an extremely polite people and that was Purr-fect (which was another word they love to use!) as far as I was concerned. WAY TO GO YE ACCIDENTAL BLOGGER ! What a great read, love the language. Keep this coming. Submission guidelines are on the 'about' page, and please feel free to email us at storyinbox22@gmail.com.